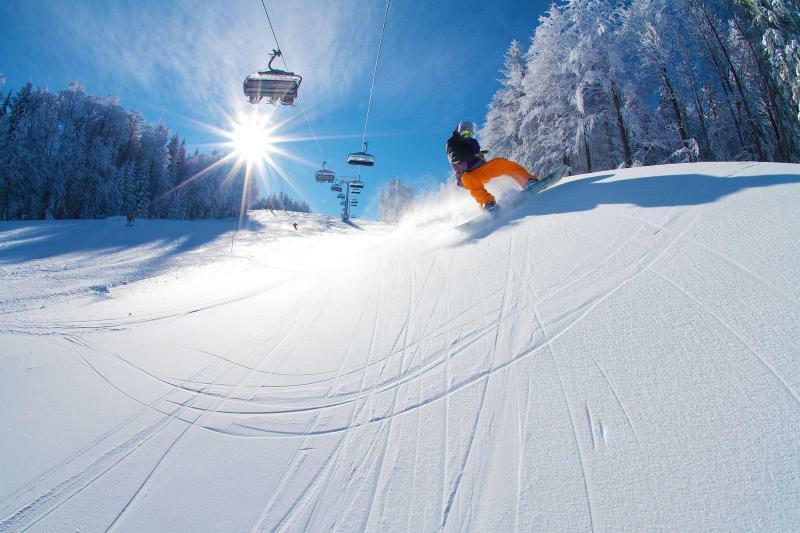 Located above Lake Bohinji, this resort offers 22 km of marked runs (10 km blue, 12 km red), including the longest ski slope in Slovenia at 7.5 km, as well as some good freeride terrain, a snowpark, mini freestyle park, X-run and children's park. 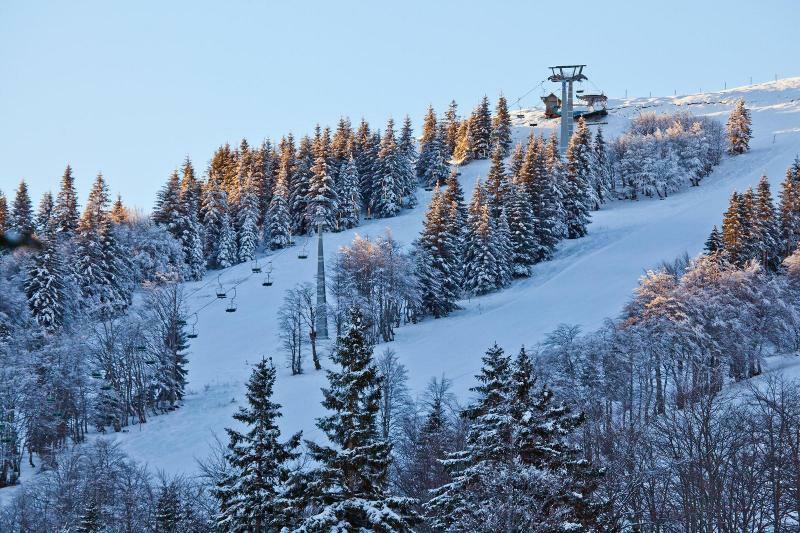 Limited in terms of size (9 km) but offers some fast runs for more confident skiers and boarders, as well as a blue run for beginners and lower intermediates. There is also a snowpark, sledding run and small cross country area. 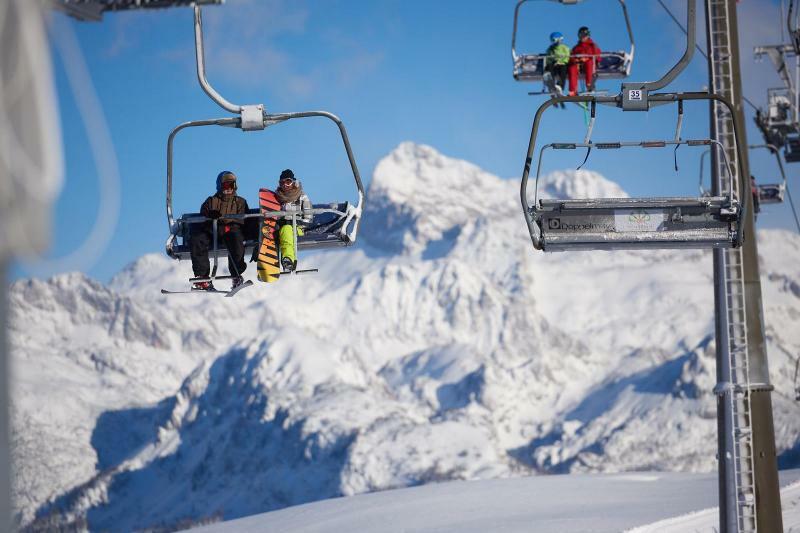 One of the largest ski areas in Slovenia, Krvavec is located just 10 km from Ljubljana airport, so is ideal if you have a late flight and want to get some skiing in on your last day. It offers 30 km of marked runs (8 km blue, 15 km red, 7 km black) and a snowpark. 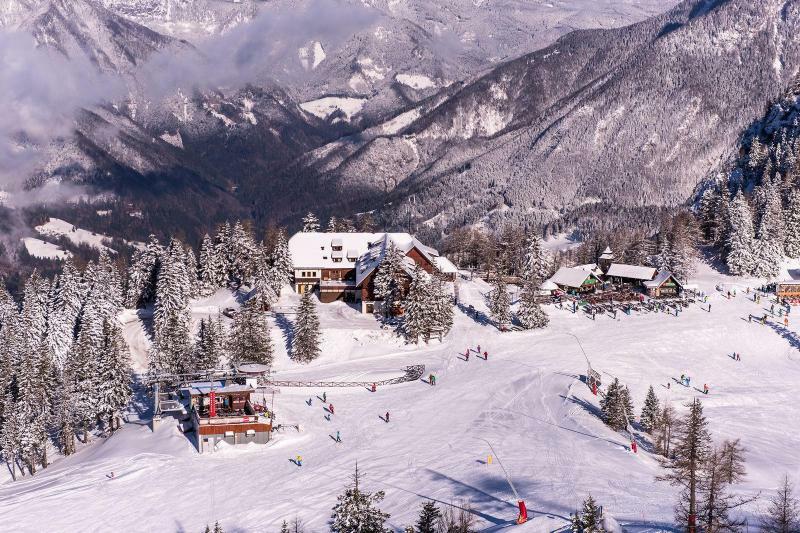 Perhaps the most well-known Slovenian resort and an annual fixture on the ski world cup circuit, Kranjska Gora is close to the Italian border and offers 20 km of pistes ideal for beginners and intermediates (10 km blue, 8 km red, 2 km black). It also has a snowpark and 40 km of cross country ski trails. Slovenia is very reasonably priced, you can buy lunch for approximately € 5.00 and beer is available for around € 2.00. 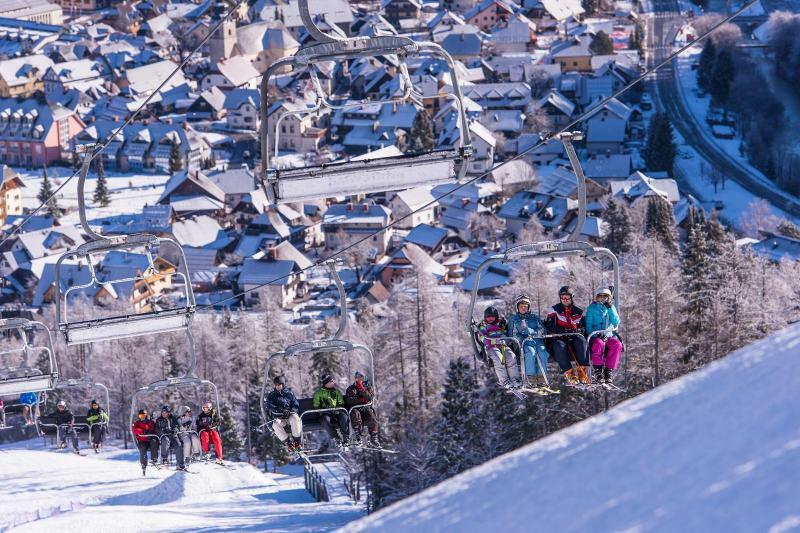 In terms of après ski Kranjska Gora offers the liveliest scene, but most people enjoy heading back to the lodge for great food and good conversation, while some venture out to nearby Bled in the evening. 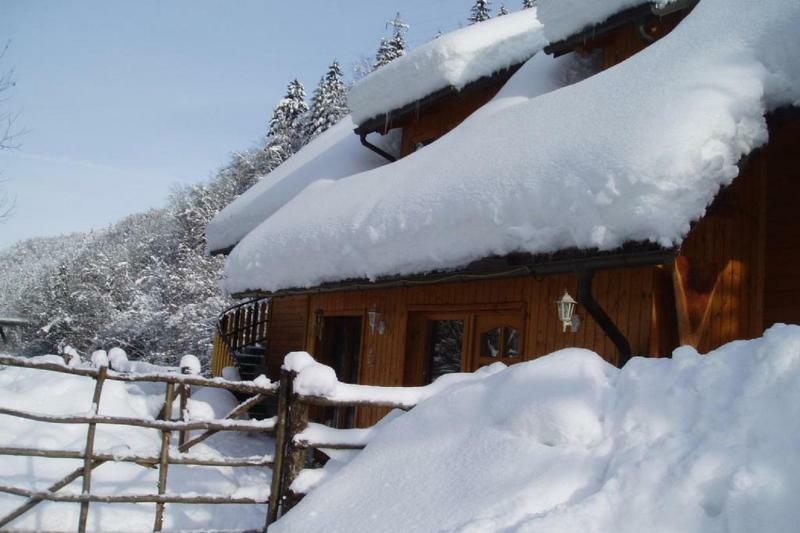 An English couple Clive and Myrna run this chalet/lodge in Slovenia, and are fantastic hosts, offering excellent personal service to guests; the chalet has been awarded Trip Advisor Certificate of Excellence every year for the last 5 years. 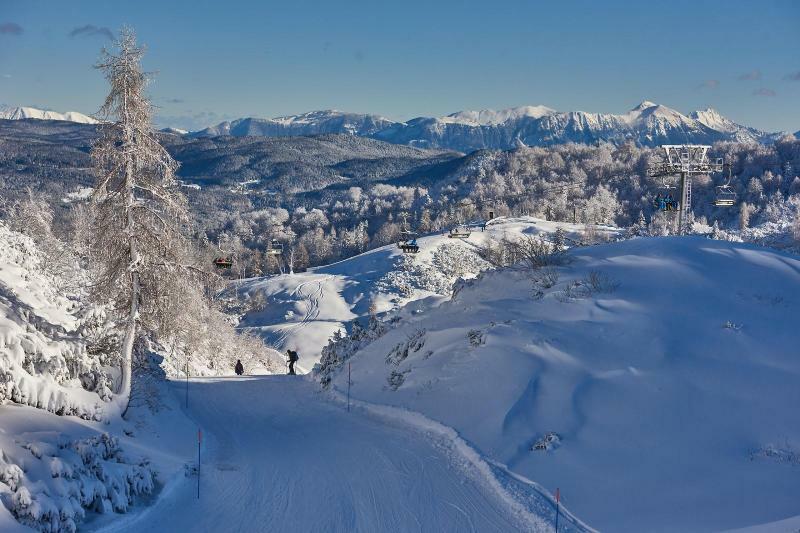 Nestled beside the Bohinska Sava River with its beautiful clear crystal waters and stunning views of the Julian Alps, the chalet is located between 20 and 40 minutes from each of the 4 nearby ski areas and transfers to and from the resorts are included in the price. 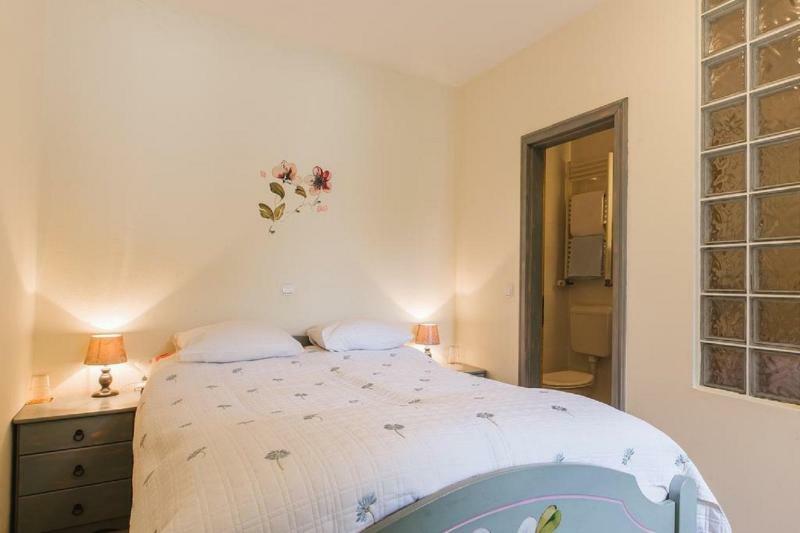 The chalet has a relaxing, informal atmosphere and offers basic, simply furnished rooms with terrace or balcony, ensuite bathrooms and hairdryer. Meal times are special events with everyone sitting around the table, to chat about the day's adventures or anything under the sun. 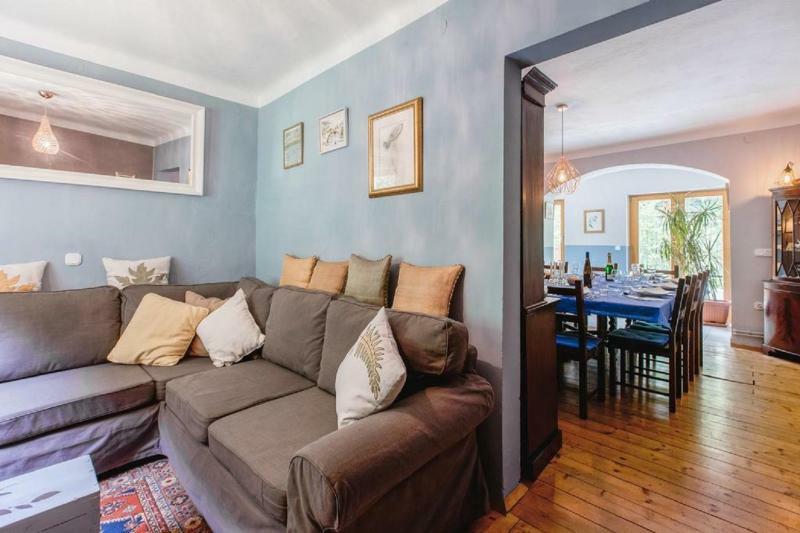 Fantastic meals made with local farm produce, fish from the Bohin ska Sava and Slovenian Adriatic coastline and organic meats lovingly prepared for your enjoyment. Vegetarian and special dietary needs will be gladly catered for. Earlier children's meals are also available by prior arrangements before arrival, (1 week before arrival). Also, please note that the owner of the chalet has an apartment there and owns a huge but very friendly great dane called Patrick. Transfers from/to Ljubljana or Klagenfurt airports are included in the price of the break. We can also arrange transfers from/to Trieste, Salzburg and Venice airports for a supplement. Enjoy a short ski holiday in Borovets, including airport transfers - just one hour from Sofia airport!